The launch of Albury’s first TV station AMV4 — now known as Prime7 — sparked an unusual TV rivalry, albeit a friendly one. Because Albury did not have any local TV station prior to AMV4’s debut in September 1964, local viewers keen to access television had installed large antennas so they could receive Shepparton stations GMV6 and ABGV3 (ABC) which had been broadcasting since 1961 and 1963 respectively. GMV6 was more than aware of its presence in the loungerooms of Albury viewers and would often send its local presenters to Albury for promotional appearances. GMV also gained interest from Albury viewers by inviting performers from the Albury region to appear on its own variety and children’s programs. So when AMV4 made its belated debut the two stations had to compete for viewers’ attention. 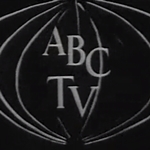 The company to operate Albury’s first TV station, Albury-Upper Murray TV Limited, was awarded its broadcasting licence in October 1962. Principal shareholders in the company included Amalgamated Wireless Australasia (AWA) Limited, Hoyts Theatres, The Border Morning Mail and other local businesses — complying with the requirement that at least 50 per cent of the company’s shareholding must be locally based. The new station built a single-studio building in Union Road, Lavington. The studio was equipped with AWA Vidicon cameras — with AMV claiming to be the first regional station to install the new technology. A 150 metre tall transmission mast was constructed on top of Mount Baranduda, approximately 20 kilometres south of Albury. “Everyone in the Albury area is keenly interested in what is happening about their own television station,” managing director Ray Kidd told TV Week in July 1963. “At the moment some areas receive GMV6, Shepparton, and this is adding to the interest in the Albury station.” The new channel was planning to have around 44 hours of programming each week from the time of its launch. With test transmissions starting from the morning of Thursday, 3 September 1964, AMV4 was officially opened the following Monday, 7 September 1964. The first program to go to air was local children’s show Cohns Cobbers’ Teleclub, hosted by Olgamary Whelan. 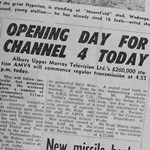 The program was due to start at 4.55pm but following the official station identification announcement the new channel’s historic first words to be broadcast on air were to come from the station’s film manager, Bernard Harper: “Anybody seen Olgamary?” It turned out that Whelan had been delayed getting to the studio and Cohns Cobbers’ Teleclub ended up being a minute late in starting — but not that the enthusiastic crowd of an estimated 100 children who had assembled in the studio seemed to mind. After Whelan and station colleague Ross Sellars finished their introductions and threw to a segment of The Mickey Mouse Club, there was much cheering from the studio audience who later gave a roaring rendition of Happy Birthday as cake and candles were brought in the studio. Cohns Cobbers’ Teleclub was the creation of Denzil Howson who had come from Melbourne’s GTV9, where he had worked both in front and behind the cameras, to become production manager at AMV4. AMV4’s official opening program, Were You There With AMV, appeared just after the debut relay of ABC’s national news at 7.00pm. Were You There With AMV presented film coverage of events from over the previous ten months from around the channel’s viewing area as well as performances from local artists. 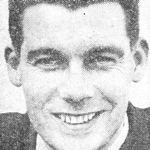 The following night AMV4 launched its local news service, a ten-minute bulletin presented each weeknight by John Worthy (pictured). Other local programs launched in the channel’s early days included a variety show that alternated between the titles Take Four, Music At Four, The Four Star Show and The Big Four Show, quiz show The Mates Show and weekly women’s magazine Roundabout With Olgamary. Ross Sellars hosted the local current affairs program On Target, weekly interview segment Face, the Friday night Sports Preview and Saturday night Football Inquest. The station had also signed up former Collingwood footballer Murray Wiedeman, who had relocated to Albury to coach a team in the local league, to appear on a weekly football round-up. 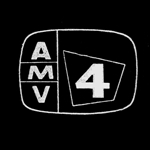 AMV4 had assembled a line-up of imported programs including Candid Camera, Coronation Street, Singalong With Mitch, Cheyenne, McHale’s Navy, My Three Sons, Bonanza, The Saint, Mike Hammer, International Showtime, Harrigan And Son and Superman. Australian programs sourced from the capital city networks included Bandstand, It Could Be You and children’s programs Ampol Stamp Quiz and The Terrific Adventures Of The Terrible Ten. 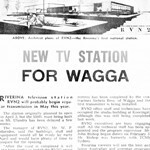 By the early 1970s the station was experiencing financial challenges in response to rising operating costs and an arrangement was soon made to merge Albury-Upper Murray TV Limited with nearby television station RVN2, Wagga Wagga. 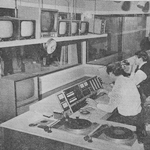 The new company, Riverina and North‐East Victoria Television Limited, eventually linked RVN2 and AMV4 via microwave, enabling the broadcast of a uniform program schedule across both channels — though the AMV studios in Union Road would continue to produce a local news, and AMV4 would split from the RVN2 program to broadcast Australian Rules football coverage for its predominantly Victorian audience. 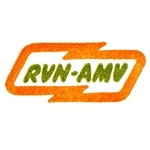 In the mid-1980s, RVN-AMV became known on-air as The Prime Network in a partnership with fellow regional stations CBN8, Orange, and CWN6, Dubbo — and in 1987 production of AMV’s local news was merged with RVN2’s news bulletin from Wagga Wagga, though this was not a popular change and was soon reversed. 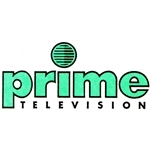 The Prime Network later became Prime Television as regional networks were preparing for the change to aggregation, with Prime aligning itself with the Seven Network for program supply. AMV then became the hub for the Prime Television network (now Prime7) broadcasting across regional Victoria, while RVN was amalgamated with CBN in expanding across Southern NSW and ACT. 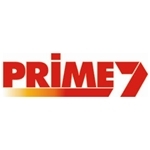 Although the presentation of Prime7’s Albury regional news has been based in Canberra since 2011, Prime7 still maintains a presence at its original Union Road site — though not for much longer. Prime7 is now planning to vacate the premises and transfer its news, sales and production staff to an alternative location nearer the Albury CBD. Source: The Canberra Times, 5 October 1962. The Age, 5 October 1962. TV Week, 13 July 1963. TV Week, 16 May 1964. TV Times, 2 September 1964. The Border Morning Mail, 8 September 1964. The Border Mail. 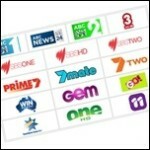 The Riverina’s Own Television Service, Maikha Ly.